CNC aluminium mount with steel fittings. Weighs approx ~ 95 grams. 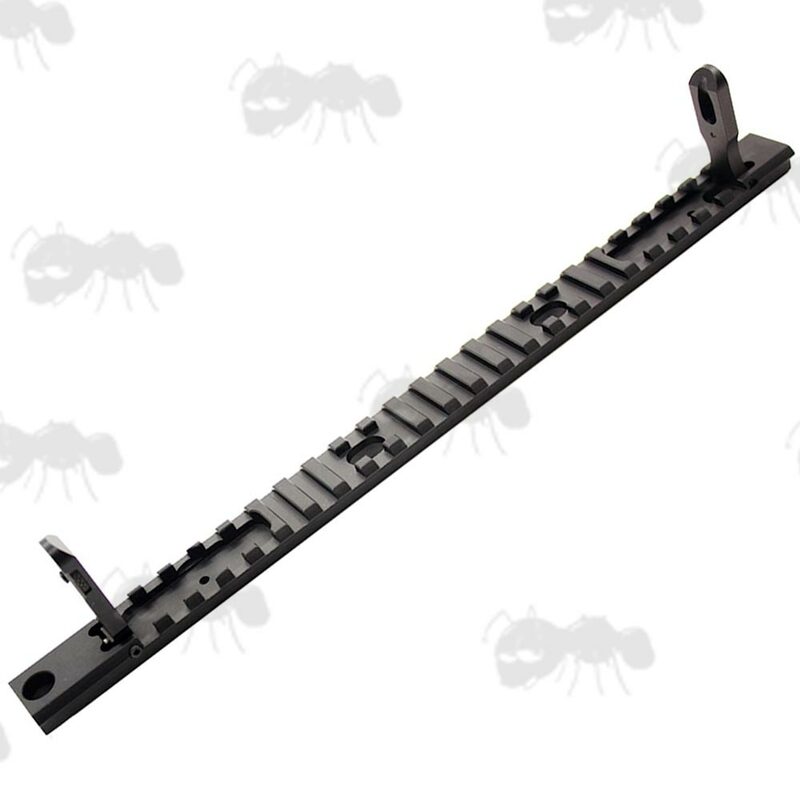 23 slot aluminium Weaver / Picatinny sight rail, 15 usable. With low-profile integrated steel flip up iron sights. The sights are adjustable for windage and elevation with an allen key, the sight aperture is adjustable for CQB and precision. 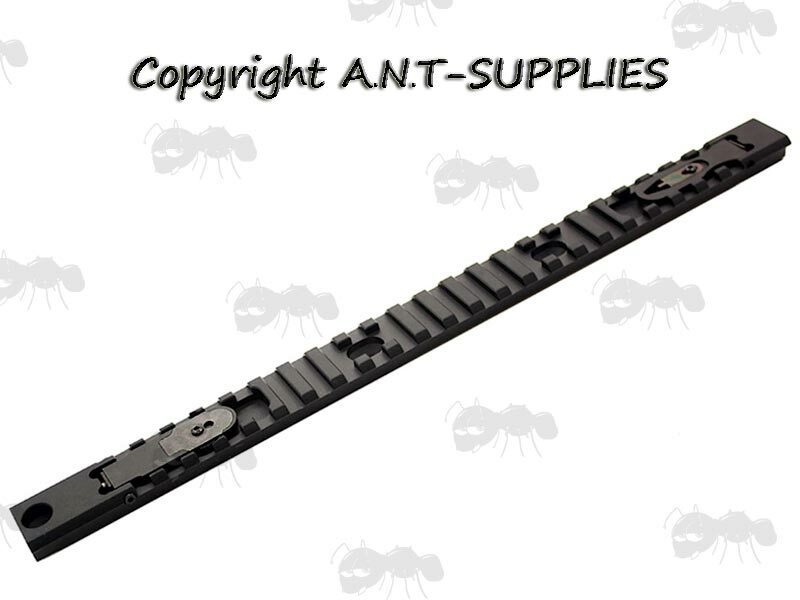 Quick to install, no gunsmith required, complete with assembly screws and allen keys.